At K 2016, lightweight design will be the main focus of Akro-Plastic GmbH, part of the K. D. Feddersen Group. 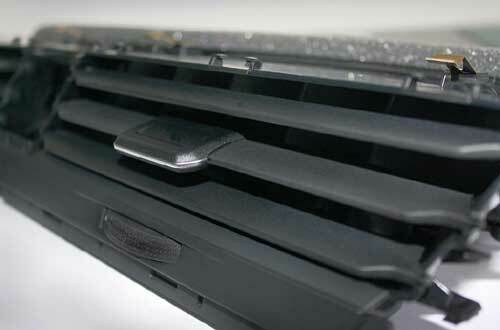 “With our innovative ‘ICF’ carbon fiber reinforced compounds, we have been able to realize a number of serial applications that actively contribute to lowering CO2 emissions,” stated Thilo Stier, Head of Sales and Innovation at Akro-Plastic. Some of these components will be on display at the show. The AKROMID Lite type series polyamide (PA)-based with chemically coupled polypropylene (PP) compounds have grown to include new products that not only reduce weight but also deliver a range of technical enhancements to specific properties. – AKROMID B28 LGF 40 1 L: one of the first PA blends with long glass fiber technology and superior chemical resistance. The high performance glass fibers used here give the product better strength values at higher temperatures, with strengths exceeding those of a 50% short glass fiber reinforced PA at 120°C. – AKROMID B3 ICF 20 1 L: This type permits substantial weight reduction (comparable with non-reinforced PA) whilst delivering superb mechanical properties. Further weight reductions can be achieved using blowing agents. – AKROLOY PARA ICF 40: This polyamide blend, distinguished by its outstanding high strength and surface finish, will be presented for the first time at K 2016. At K 2016, the compounder will also announce that the electrically neutral compound type series AKROMID EN will be produced at factories in China and Brazil using the same Innovative Compounding and Extrusion (ICX) technology as in Germany. Together with Plasmatreat GmbH, Akro-Plastic will also present a live demonstration at Plasmatreat’s booth to showcase the superior adhesive bonding between metal and plastic. The demonstration will feature a stainless steel bracket integrally extruded with AKROMID B3 GF 30. Arburg, Kuka, and Krallmann will also be taking part in this demonstration.